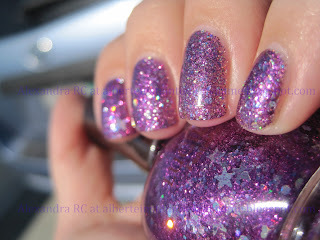 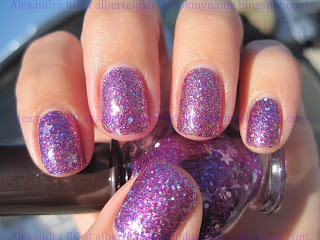 It's a very complex nail polish., it has hex and stars. 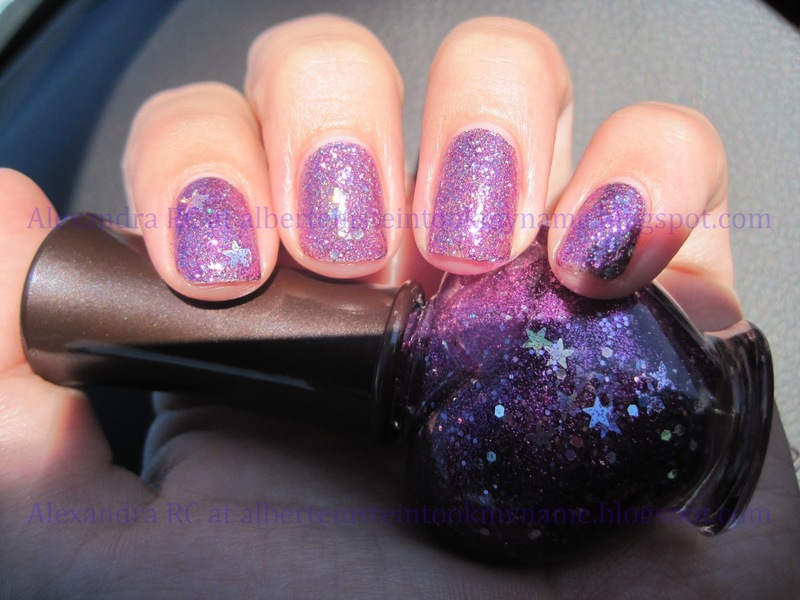 It's not dense enough to wear it by itself, it would take probably 5 coats. 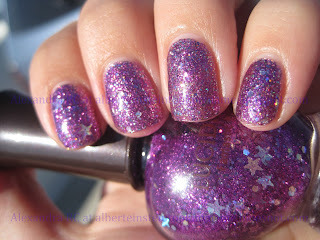 1 coat OPI Show It and Glow It!